MEI Connecting the World to YOU !!! 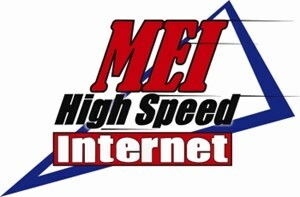 Message Express Internet (MEI) has become southwestern Michigans premiere Internet Service Provider and its no accident. With huge amounts of bandwidth and advanced networking, MEI can provide you with the fastest speeds in the industry. MEI has some of the safest email around with both spam and virus filtering built in. Couple this with our expanded coverage in rural areas; MEI makes high speed connections available to more people in our community than ever before. Try us today and find out for yourself why we are Southwestern Michigans best Internet service provider! Are YOU Covered? At MEI, our connections are free from the limitations and issues that plague air cards, satellite services and cable providers, allowing us to easily expand into rural and under-served areas with true high speed internet and phone services. This means we also deliver low installation and service costs compared to other internet providers, allowing us to pass on to you unparallel speed, reliability, and savings. Being a local company our service and response times are quicker than the competition. to check and see if you are in our coverage area or call today for details regarding our services.